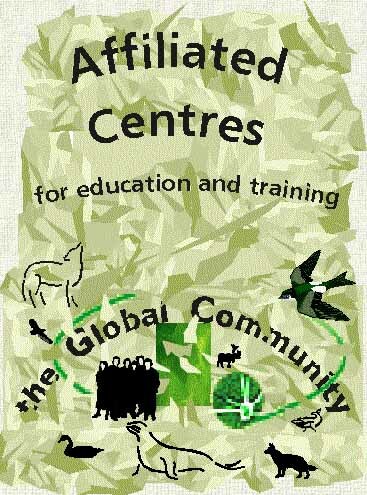 There are a few requirements to have your name or the name of your organization added to the list of the Global Community Affiliated Centres for Education and Training. If your name is added you are considered as a volunteer. Your organization, if any, is also considered as a volunteer organization. Please do read the section concerning volunteers. We don't pay anyone, and we don't pay expenses. We do volunteer work for humanity. We expect volunteers to be responsible and accountable of all their actions. We do soft global activism work. The Global Constitution shows us how to operate our organization. We follow Global Law as shown in the Global Constitution. All those who do volunteer work for us must become familliar with it and become 'global citizens'. We want our volunteers to be completely loyal to the Global Community and to the values and principles we promote. International President: Prof. Jan R. Hakemulder, D.Ed., Psy.D., Ph.D.
Kosta Makreas has encouraged me to update you on our historic initiative to found a National Peace Academy in the United States of America. It is a group effort and we are part of a consortium made up of Case Western Reserve University, Biosophical Institute, and Peace Partnership International. The unique design process we are undertaking is one of the main reasons we are excited about the National Peace Academy. It is not about simply starting another educational institution. It is about infusing and reflecting the principles and practices of peace throughout the process itself and through the emerging institution. You can find out more about the National Peace Academy at www.nationalpeaceacademy.us. Founding a National Peace Academy initiative is one of three major initiatives we are engaged in at Peace Partnership International. We are also working closely with the Global Alliance for Ministries and Departments of Peace, and through our initiative, Building Bridges of Peace, we are forging partnerships with and among government, business and civil society to help create a culture of peace. The Global Alliance for Ministries and Departments of Peace, which Peace Partnership International co-founded in 2005, is a community of individuals and organizations in 36 countries on six continents working to encourage the institutional support for and expression of a culture of peace in governments around the world. Solomon Islands and Nepal already have such government ministries, and Costa Rica is poised to become the third. Learn more at www.mfp-dop.org. Making the shift to a culture of peace requires everyone, in all walks of life, working together to discover - from their own personal and professional perspective - what that shift means for them, why it is important, and how to do it. Our third major initiative, Building Bridges of Peace, is bridging socioeconomic and intergenerational divides to catalyze partnerships for peace. Learn more at http://www.peacepartintl. org/content/blogcategory/108/132/. Please take a moment and visit our website at www.peacepartintl.org. Once you have familiarized yourself with our work, we invite you to spread the word via our easy-to-use Refer-a-Friend system at www.peacepartintl. org/tellfriends. Thank you for your tireless efforts as we all work together to create a better world. Your support and encouragement is deeply appreciated. Please let me know if you have any questions or desire further information.